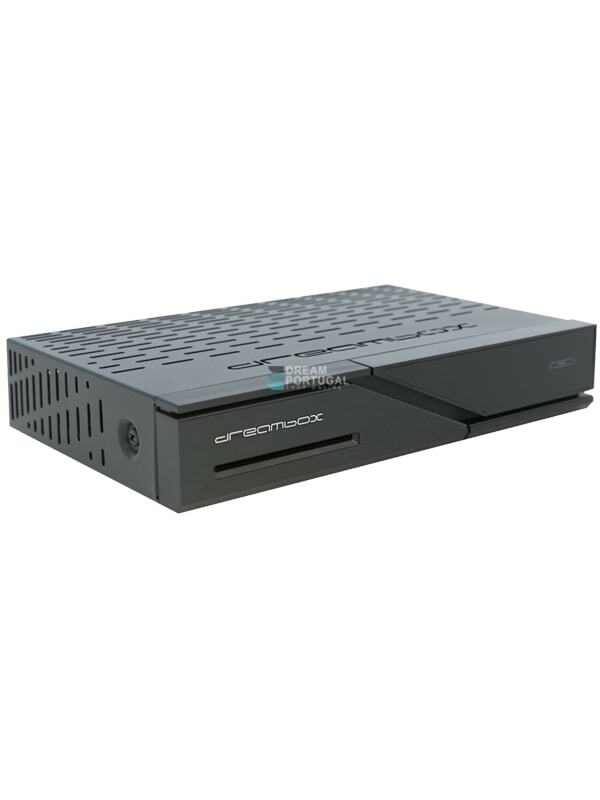 Dreambox DM520 DVB-S2 - Buy at the best price! Dreambox DM520HD DVBS-2 Satellite FullHD Receiver! The Dreambox DM520 DVB-S2 sets new standards with its contemporary design and technical equipment at the highest level. The new video standard H.265, which is required for the DVB-T2 reception in Germany and many other countries, among others, is supported by the HDTV Dreambox. A Broadcom chipset of the latest generation (BCM 73625) ensures fast switching and fast navigation. The DM520 is delivered with the popular RCU RC-10 multi-remote control for Dreambox and playback devices such as TVs or Blu-ray player. With 512MB of flash memory has enough storage for innovative IP services. For this purpose are already some apps in planning. Additionally, the DM520 also supports Sat> IP standard. With Ethernet and Wifi support (optional) the Dreambox its easily connected to the internet. The futuristic design of the DM520 with the color status LED indicator embodies the innovation, for the Dreamboxen are known worldwide. So has the DM520 on the front of a lit touch On / Off sensor. On the flip side, including two USB ports, through which the user can plug an external hard drive record live TV or play multimedia content.